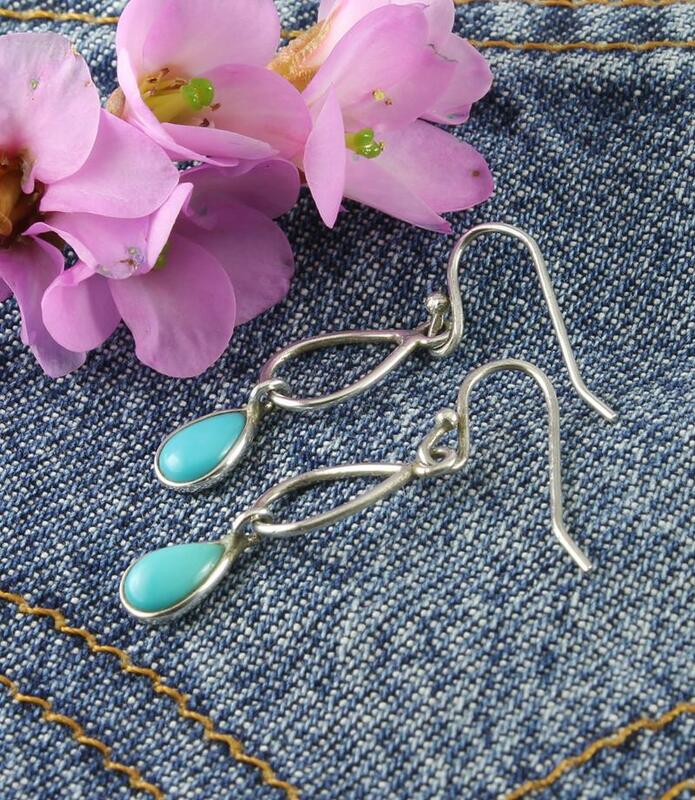 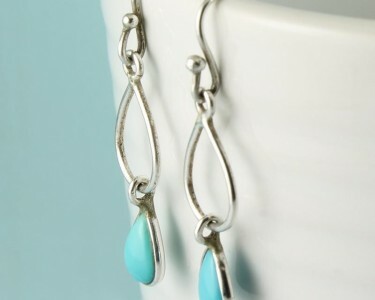 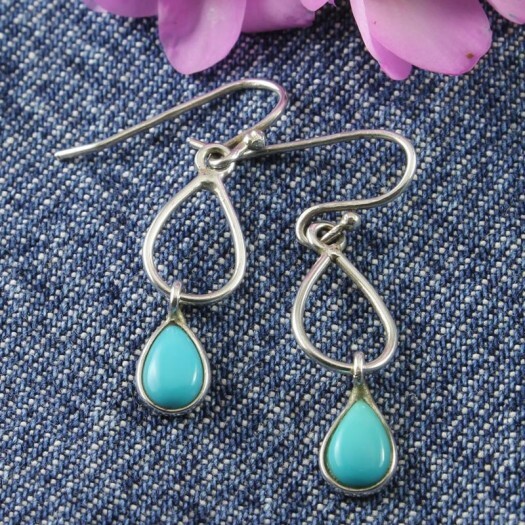 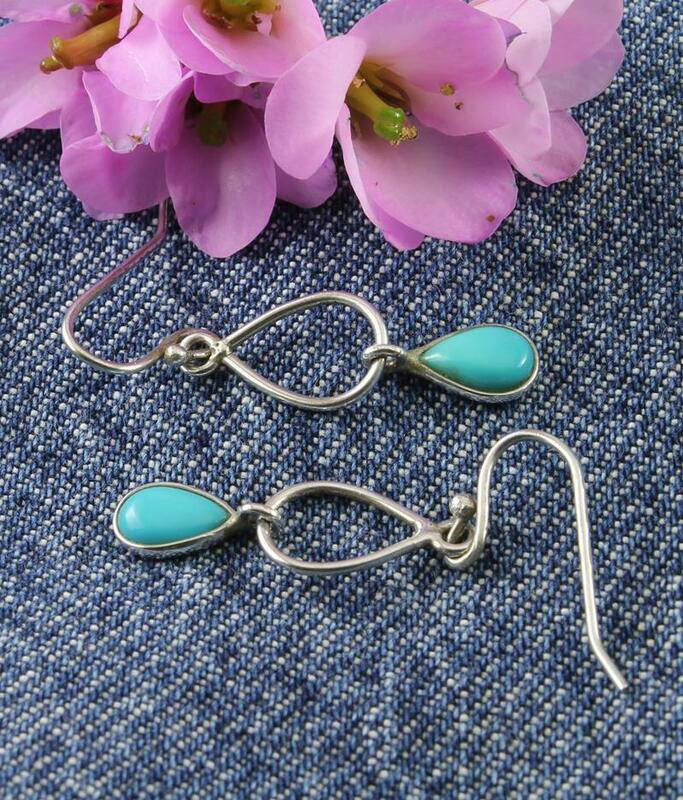 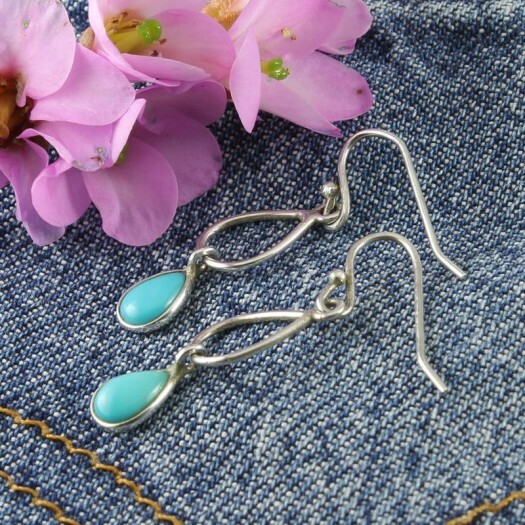 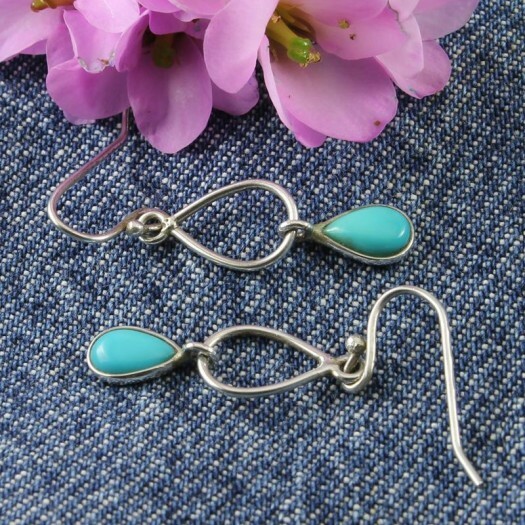 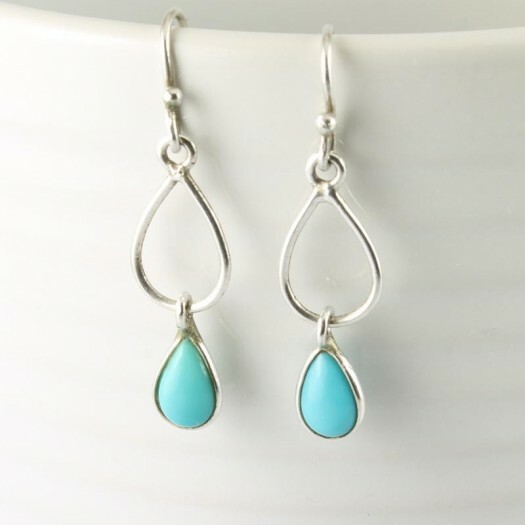 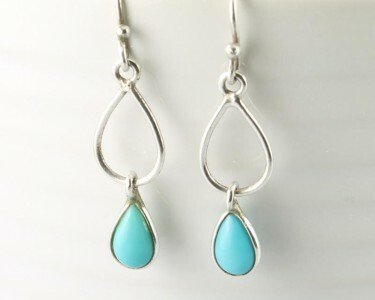 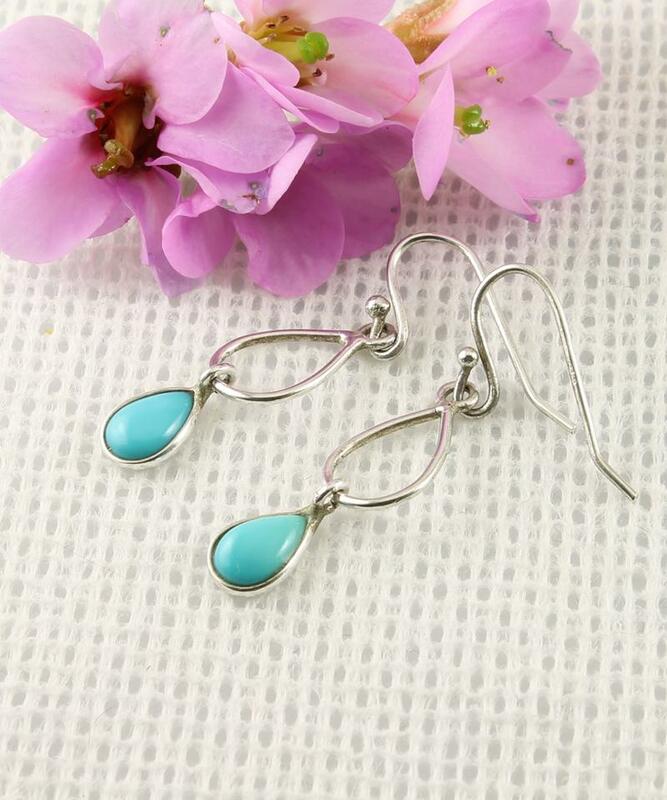 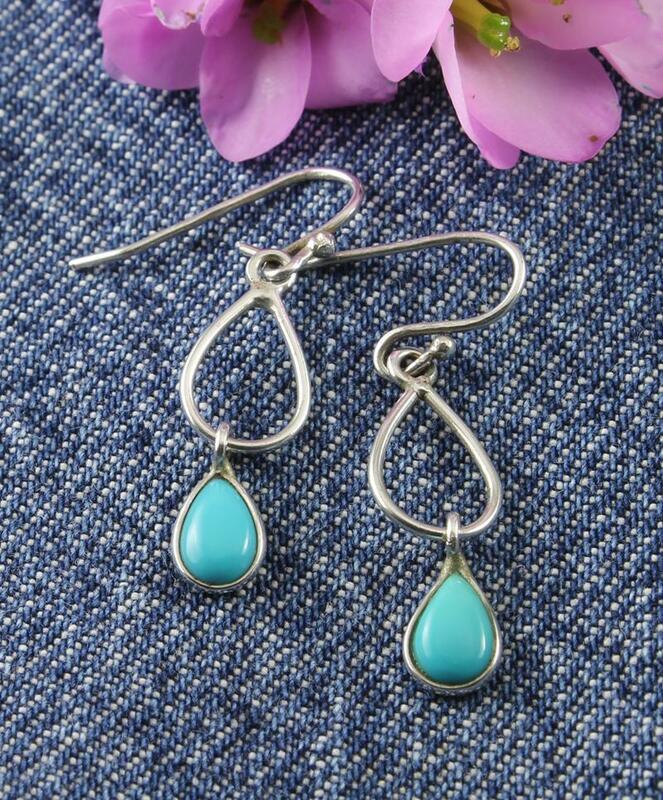 These delightfully elegant earrings feature a small, polished Turquoise gemstone teardrop, suspended below a larger wire Sterling Silver openwork teardrop design, which adds aesthetic perfection by repeating the teardrop shape. 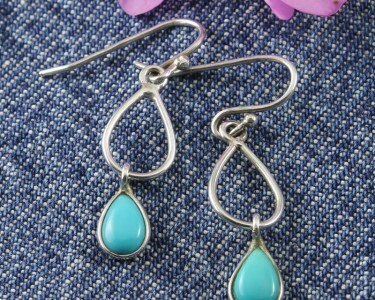 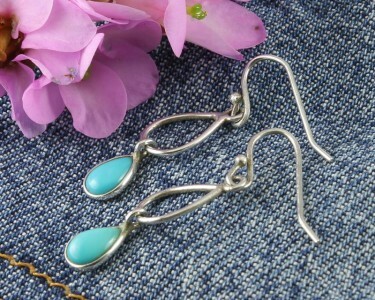 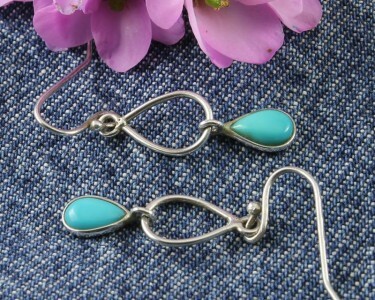 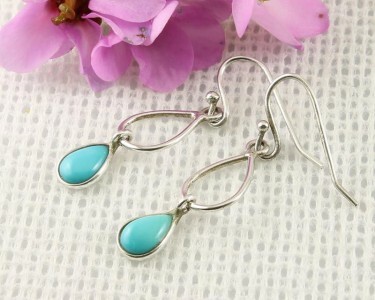 These earrings are fastened by Sterling Silver hooks. 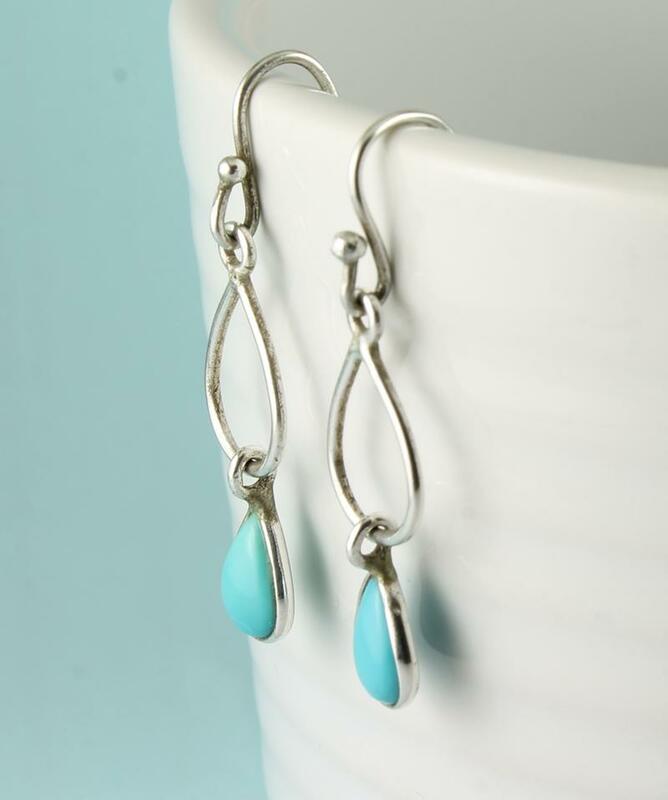 Intricate, appealing and colourful, these double-teardrop Turquoise and Silver earrings will always create an admiring audience. 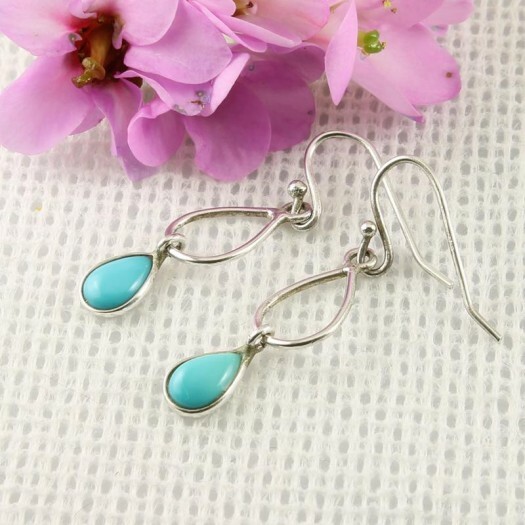 Size & Fit : Earring drop: 3.5cm/1.32in; Gemstone length: 9mm/0.41in ; Gemstone width: 6mm/0.25in; Earring width (widest point): 8mm/0.38in. 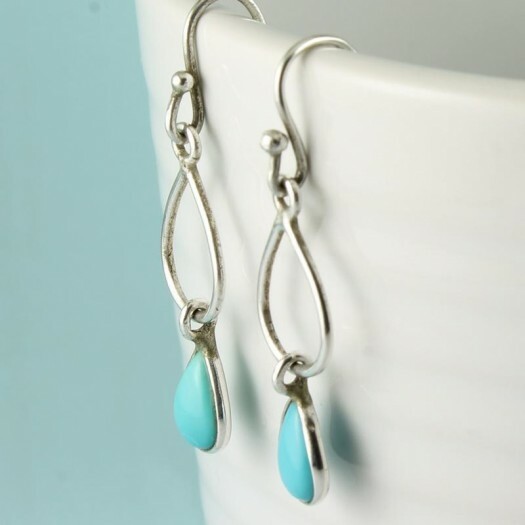 Wear It With : These earrings are suitably delicate and subtle to be worn with most outfits, but will look especially good with black, white or denim. You can nicely match your other Turquoise and Sterling Silver jewellery with this birthstone for the month of December.